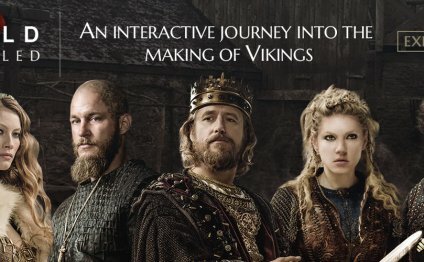 Vikings season 4 will return with one of the most important episodes of the Canadian-Irish historical drama series on 31 March at 10/9c on History Channel. Episode 7 titled The Profit and Loss will feature a crucial battle between the Lothbrok brothers — Ragnar and Rollo. set the stage for the impending massive fight as the Norse king and his warriors sailed to Paris for their second planned attack. Upon arrival at the shore, they had to breach Rollo's defence to win over the city. While everything looks perfectly planned, there are some major issues that might spell doom for the Vikings army. Not only is Rollo now a French ally who has vowed loyalty to King Charles and Princess Gisela, he also knows the King of Norway's war tactics, which might be an issue during their sword fight. The massive army of the Viking warriors will have to deal with Rollo, who has only one mission in mind — killing his famous elder brother. Legartha, who has shown her ruthless side by killing Kalf to reclaim Earldom, is also accompanying her former husband along with her son Bjorn. The synopsis for the next episode reads: King Ecbert's ambitions are uncovered as he schemes to gain the crown of Mercia; the Vikings attack with considerable force; Harbard, the mysterious wanderer, is back and causes a stir amongst the women of Kattegat.